It appears Selection Monday has hit a couple of hours earlier than expected. ESPN apologized Monday for releasing the women’s NCAA college basketball tournament bracket nearly four hours before it was set to be slowly revealed by the network. Both ESPN and the NCAA confirmed the mistake. The bracket that was released shows UCLA (20-12) as a sixth-seeded team playing 11th-seeded Tennessee (19-12) in the first round of the Albany Regional in College Park, Md., on Saturday. 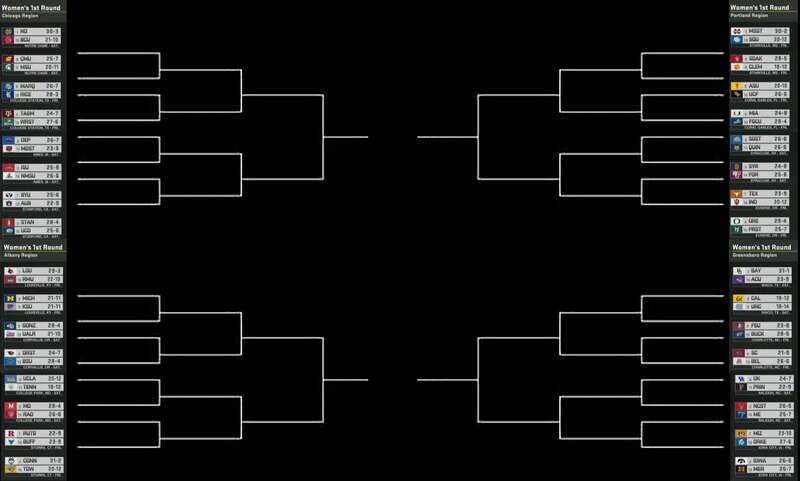 You can check out the entire bracket that was released early here. UCLA also confirmed via Twitter it is playing Tennessee in the first round. ESPN’s bracket reveal show was originally scheduled to start at 4 p.m. PDT, but was pushed up to 2 p.m. following the early release of the bracket on ESPNU. Connecticut (31-2) is a No. 2 seed for the first time since 2006 and Baylor (31-1), Mississippi State (30-2), Louisville (29-3) and Notre Dame (30-3) are the No. 1 seeds. Pac-12 tournament champion Stanford (28-4), Oregon (29-4) and Iowa (26-6) are the other No. 2 seeds.